An FHA loan is insured by the Federal Housing Administration and issued by a private mortgage lender. FHA loans are attractive to potential borrowers because they allow people to purchase a home with a small down payment and require an average credit score. How does the FHA Loan work? Because an FHA loan is sponsored through the government, they provide a special guarantee to lenders – if FHA borrowers fail to repay the loan, the FHA will reimburse the lender for the remaining principle. This guarantee allows private mortgage lenders to offer appealing mortgage loans to those who are looking to make a small down payment or have a not so perfect credit score. One of the main attractions of using an FHA loan is the small down payment requirement, which can be as low as 3.5 percent. 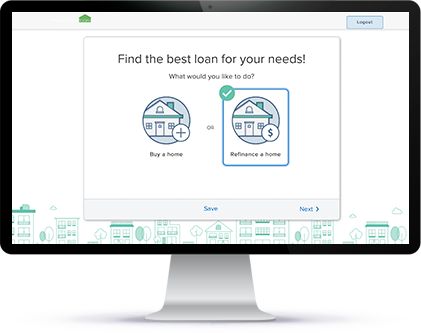 Because of this feature, it makes it easier for borrowers to purchase a home. However, if you have more than 3.5 percent available, it is recommended to make a larger down payment to avoid paying more for interest and private mortgage insurance. Now, here’s the tradeoff: if borrowers make a down payment less than 20 percent, lenders require borrowers to buy private mortgage insurance (PMI). PMI is a monthly premium that protects the lender if the borrower stops making payments. When borrowers apply for an FHA loan, lenders will calculate this premium into your loan estimate. Remember, PMI is only required if borrowers put less than 20 percent down, so it is advised to make as big of a down payment as you can. What credit score do I need for an FHA loan? According to the Federal Housing Authority, borrowers must have a minimum credit score of 500-579 for maximum loan-to-value (LTV) of 90 percent with a minimum down payment of 10 percent. If borrowers are looking to make a down payment of 3.5 percent, borrowers must have a credit score of 580 or higher. The Federal Housing Administration (FHA) makes it quite accessible for anyone to apply. Since this mortgage is insured through the government, many lenders are willing to accept applicants. However, keep in mind, most lenders issue their own set of standards aside from the minimum FHA requirements. Borrowers that qualify for an FHA loan are required to make a down payment as little as 3.5% and have a minimum credit score of 580. If borrowers make a down payment of 10 percent, they are required to have a credit score between 500 and 579. FHA loans are popular and attractive especially to first-time homebuyers because of their low-down payment flexibility and average credit score requirement. Many people turn to use an FHA loan because they are unable to put 20 percent for their down payment. Borrowers that have filed bankruptcy in the past are also still eligible to apply for an FHA loan. However, they must be two years out of bankruptcy and have re-established good credit. Some exemptions may be accepted, but borrowers will have to prove substantial improvements and managed their money wisely. What are the income requirements for an FHA loan? An FHA loan has certain financial qualifications in order to qualify. To start off, the FHA loan does not require a specific income value. However, borrowers will need to demonstrate they will be able to fully repay the loan. Before a lender can approve you, they will look at your debt-to-income ratio. This ratio compares your debts with your monthly income. Lenders like to see your monthly income to be greater than the amount you spend on your monthly payments. Typically, lenders like to see a ratio of 31:43 percent. For example, let’s say a borrower earns $3,000 per month. In order to meet ratio requirements, it would be best to keep housing payments below $930 because $930 is 31 percent of $3,000. Do not forget to factor in other financial obligations, such as credit card debt, student loans or bills. It is recommended that all your combined monthly payments should be less than $1,290 (because $1,290 is 43 percent of $300). Which is better for me, FHA or conventional loan? The choice between an FHA and conventional loan is primarily based off your financial situation. A conventional loan is more suited for someone that has a high credit score and has enough money for a down payment of 20 percent. Conventional loans are also more appropriate for larger home purchases because a bigger loan is required. Conventional loans come in two forms: conforming and non-conforming. Conforming loans follow terms and conditions that are issued by Fannie Mae and Freddie Mac. These two governmental sponsored entities (GSEs), purchase mortgage loans from lenders and package them into securities and sell them to investors. Fannie Mae and Freddie Mac established guidelines a borrower must meet in order to qualify for a loan, such as gross income, credit score, down payment amount and other factors. Mortgage loans that exceed Fannie Mae and Freddie Mac’s maximum loan amount are known as non-conforming loans, or jumbo loans. Jumbo loans are not as common as conforming loans, which is why lenders can issue a higher interest rate. Like mentioned before, if a borrower is looking to purchase a pricier home, a conventional loan will provide more flexibility than an FHA loan. In most areas, FHA loans cap out at $271,000. So, if the home you are purchasing is more expensive, a conventional loan will be more beneficial. FHA loans are more suited for someone that cannot put down 20 percent or has an average credit score. They are also easier to obtain because the FHA guarantees the loan, meaning, lenders do not take any financial risk by loaning the money to borrowers. The government repays the lender for the borrower’s inability to finance if they were default on payments. This also incentives a lenders ability to offer competitive interest rates and issues easier qualifications. What is the interest rate for an FHA loan? In order to find the best FHA interest rate, you will have to research and compare lenders to see who can offer you the lowest rate. Interest rates in general have the ability to fluctuate daily, which is why it is important to keep a close on eye on lenders’ charts, so you can get locked in at the best rate. FHA interest rates are also determined on a few personal factors, such as your credit score, debt-to-income ratio and down payment amount. If you have a good credit score, your lender can offer you a better interest rate. This will help prevent you from paying thousands of dollars just in interest. In addition, your current credit score will determine the minimum amount needed for your down payment. Your debt-to-income ratio is also evaluated to determine an interest rate for your mortgage. You can lower the amount of debt you have by paying off as much debt as possible. If you have some debt, that is OK, as long as it is well managed, and you never miss a payment.